With so much happening in the news these days concerning opiate/opioid overdoses, especially in suburban areas not typically accustomed to dealing with such matters, the reality of addiction treatment and sober living & recovery housing is hitting home more than ever! I cannot count the untold numbers of parents and loved ones I’ve spoken with who happen to be dealing with variations of this. The only real silver lining here is that it is happening at a time when information on chemical dependency is readily available to all by way of the internet. For those lucky enough to stop early on in life, the lasting effects and overall psychological damage is usually limited. There are of course the unlucky ones who experience life-altering damage after that first use, or soon after, but our physical and psychological resiliency usually wins out in the short term. From a long-term perspective though, the brain’s healing process is a slow and steady race. While a broken leg may heal in 4 to 6 weeks, a mind riddled with 10 years of drug abuse can take more than a year in sobriety in which to overcome the long-term damage created. As a matter of fact, among the greater benefits of long-term sober living or transitional recovery housing is that it provides a bridge for regaining emotional and psychological stability. Do you remember the commercial that was aired throughout the 1990’s with eggs frying in a pan and the tag line saying, ‘This is your brain on drugs?‘ That commercial clearly depicts addiction as a brain disease. In plain English, once the drugs are removed, the brain does not automatically heal. PET scan studies show huge differences between an addict clean for 24 hours, 6 months and year. Thus science has backed up what addiction specialists have said for years. What does that mean for the addict? It means that once the drugs are removed, the dis-ease is centered in your thinking. It means that if we do the opposite of what you really want to do, you are likely doing the next right thing. It means remaining humble and running your best thinking by someone else before taking action. Addicts need to remember that they did not become addicted overnight and are not going to recover overnight. Knowing they are not alone and others have had to take the same simple actions being asked of them makes it less daunting. 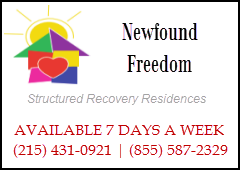 Addiction treatment and its many varied components is a unique process for each person. No two addicts or alcoholics are alike. There may be similarities in their backgrounds, experiences, predispositions, patterns of use and so on, but how they all ultimately materialize in the mind and body is truly unique to the individual. 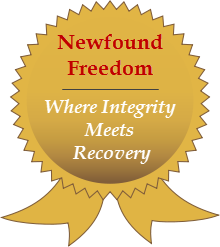 At the end of the day there exists no sure fire approach to the treatment of addiction and alcoholism, but for those who are ready to make lasting change, many effective options are out there.